The entire last week was spent cleaning up everything before Diwali. I got so busy with the cleaning spree that one of my most favorite part of Diwali Celebrations, ‘what to wear this Diwali’ just skipped from my mind. While growing up, I always enjoyed the sight of women dressed in traditional clothes gathering at the temple with their ‘diyas’ and ‘puja ki thalis’ and thereby lighting up the whole atmosphere with their aura. Though, I am mostly a jeans and a tee person, I love traditional Indian clothes. They’re beautiful and look classy. Girls forget the elaborate anarkali, straight suits are in this season. Wear straight suits with palazzos, pants or leggings for an ultimately sleek and elegant look. Just like western wear, layering rocks in ethnic wear too. Bring out your anarkali and layer it up with a fitted brocade or lace jacket to breathe new life into your old outfit. After floor length anarkalis, Indian ethnic wear has evolved to include the gorgeous gown. A well-tailored gown with right accessories and embellishments can give you that perfect traditional yet modern look. 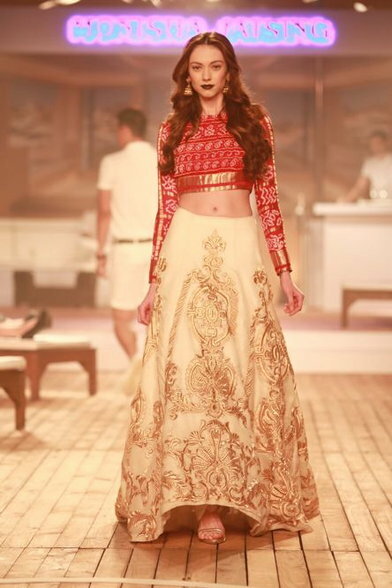 Not in a mood to wear lehenga? But still want to look glam and sassy? This embroidered crop top with high waist ethnic skirt is the best pick for you. If your idea of looking great is to look different, try this unique dhoti dress in bright color for a super stylish look. If you are a no fuss girl like me, a simple kurti with leggings or churidar would be the best option to look graceful and traditional for the occasion. 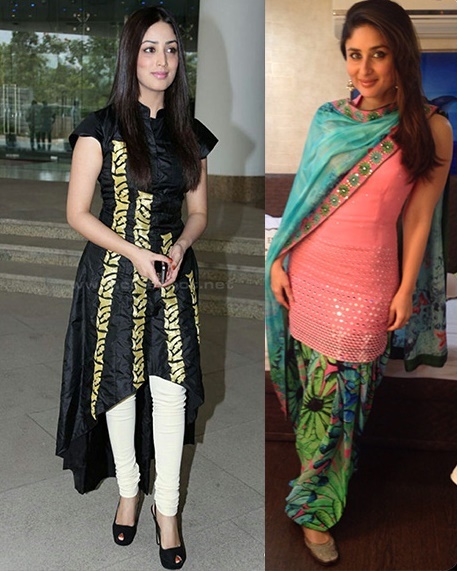 You can experiment with, cut, design or embroidery of the kurti for an added style. So girls, this is my list for six best Diwali outfit ideas for this season. Hope you will also find these ideas stylish and useful to make your pick. You can also read about different hair style ideas for Diwali, here. Have a safe and happy Diwali. Tada! Ritzy! for such outfit explore our brand new collection.